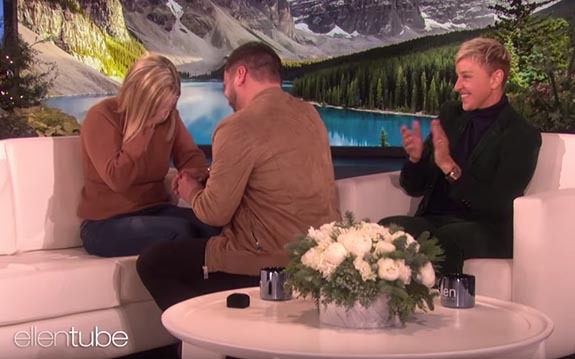 The British tourists who became internet celebrities after a video of them losing their diamond engagement ring down a utility grate in New York City went viral returned to the U.S. on last week to appear on the Ellen show. 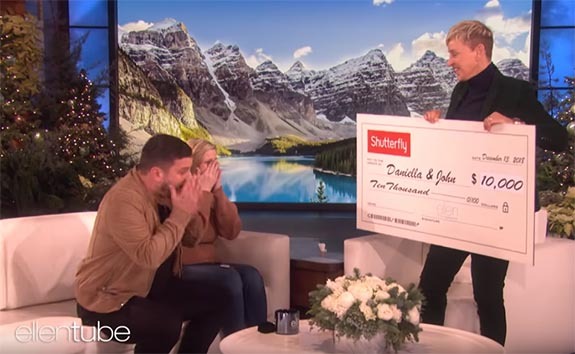 During the emotional eight minute segment, the couple finally got their diamond engagement ring back, met the hero detectives who rescued it, hit the reset button on their marriage proposal and received a whopping $10,000 wedding gift from the show. 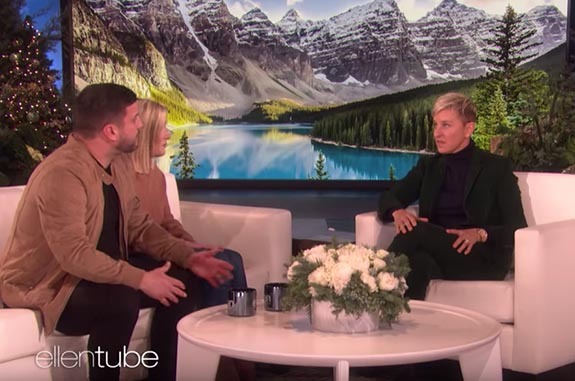 Host Ellen DeGeneres recounted to her studio audience how John Drennan had proposed to Daniella Anthony in Central Park on November 30, but the diamond engagement ring didn't fit properly; it was way too big. Although Anthony was worried that it might slip off, Drennan insisted that she wear it as they attended a Broadway show and toured the city. 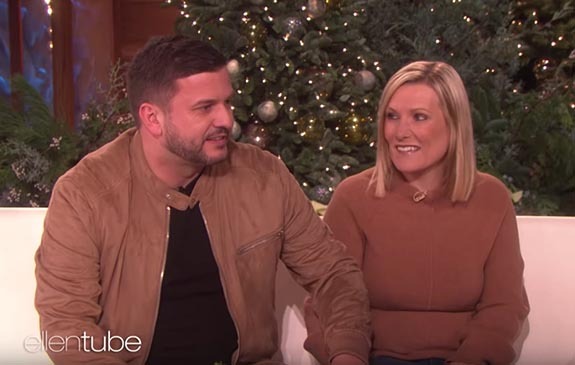 The story became a viral sensation, and by the next day; December 2; the newly engaged Brits had come forward as the mystery couple.